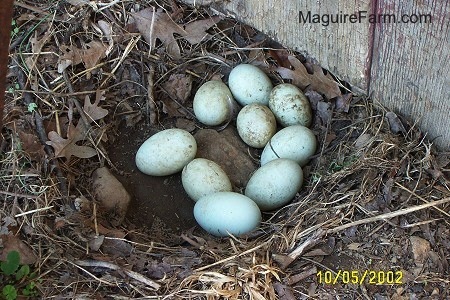 We were very surprised to find a bunch of duck eggs out next to the barn so late in the season. 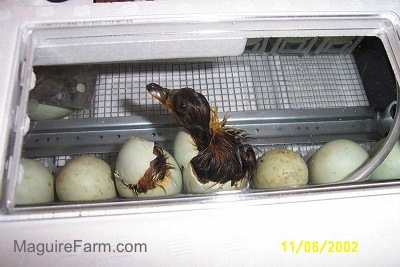 The ducks had started laying an egg or two a day and were not sitting on them. 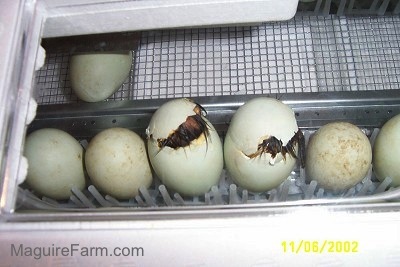 I decided to get an incubator. 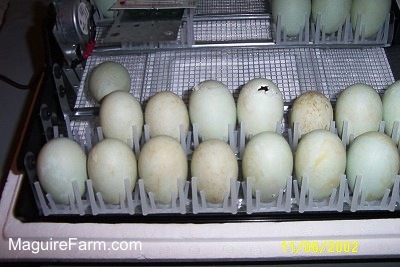 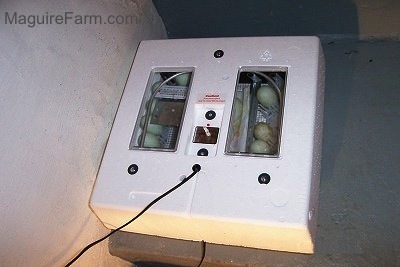 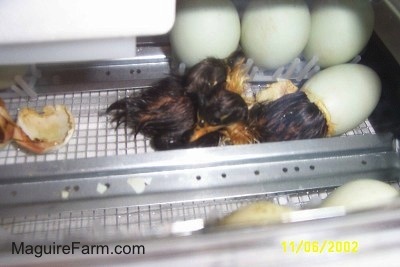 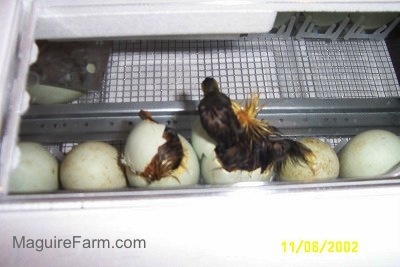 Five day later the incubator arrives and the first batch of eggs are placed in it. 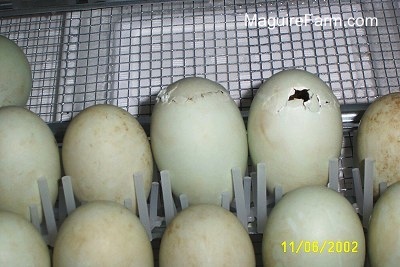 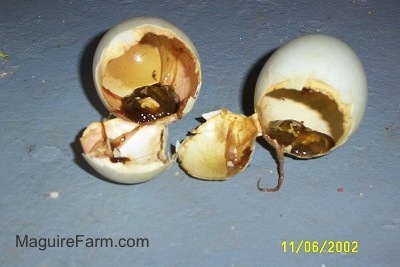 28 days later - to my surprise, I notice the eggs are starting to hatch!